Personalized French lessons online! Why not learn French daily with an e­mail, a fun story, and personalized corrections and explanations? 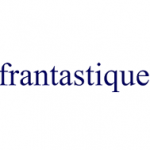 Frantastique is structured around three main elements: an e­mail, a story and a correction. Your daily lesson is sent by e­mail every morning. Each lesson contains a selection of exercises, videos, texts, dialogues, conjugation tests, and mini ­lessons in French. After clicking the 'Envoyer' button, you will receive a correction e­mail with your daily score, explanations of your answers, the scripts of the dialogues or videos, the vocabulary you have requested and more. Every day, you'll hear a citation with different accents, film clips, songs and more to help you explore the richness of French culture around the world. Story­-based lessons featuring fun characters in a French­ speaking context with plenty of culture and business elements. The learning material is given extra punch with the adventures of Victor Hugo (defrosted especially for us!) and a pair of aliens exploring the French language and Francophone culture across the globe. The artificial intelligence engine builds lessons based on your needs, your requests, and your level. You will discover professional scenari, a wide variety of accents, and exercises and plenty of humour. 10 to 15 minutes daily is all it takes! The course automatically adapts to your objectives, needs, and learning speed. The artificial intelligence engine builds each lesson dynamically to focus on points of difficulty, as well as topics you have requested, to ensure you have committed what you have learned to your long­ term memory. Your French improves effortlessly, daily!